There’s a Facebook setting that acts as a “kill switch” to keep apps and other websites from sharing or accessing your information. It’s called “Platform.” And you can turn it off. 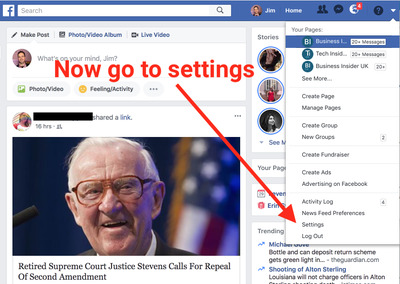 With Platform “off” you can make your Facebook as private as possible without deleting the account altogether. 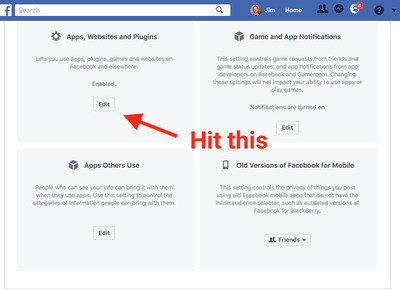 There’s a Facebook setting that acts as a “kill switch” to keep apps and other websites from sharing or accessing your information. 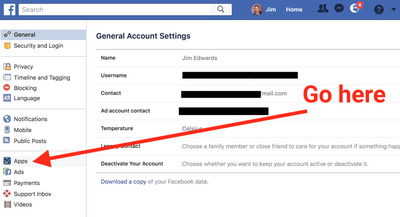 It’s a useful trick that many people don’t know about, especially if you want as much privacy as possible while maintaining your account. And, frankly, Facebook doesn’t exactly advertise its existence. 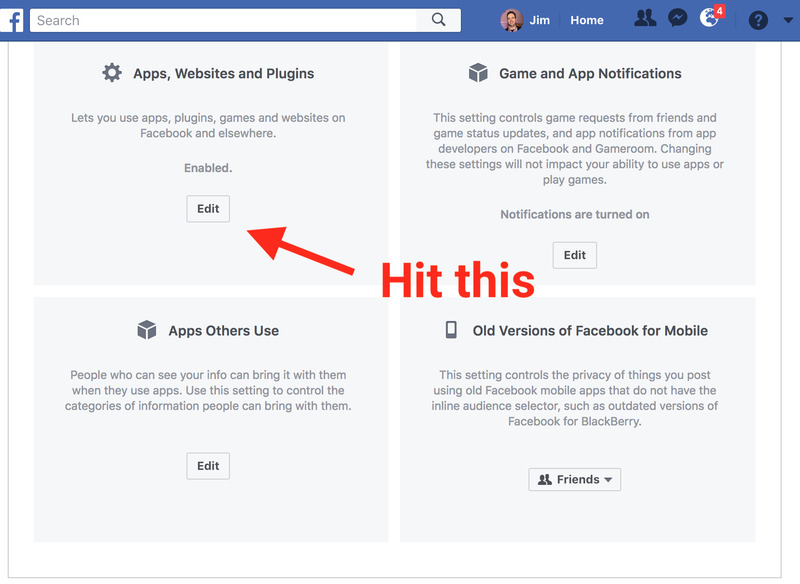 It’s called “Platform.” It’s the way third-party games (like Candy Crush) or websites (“Would you like to sign in using Facebook?”) are integrated with your profile. It allows not only the apps or sites you visit to access your data, but the apps and sites your Facebook friends visit as well. 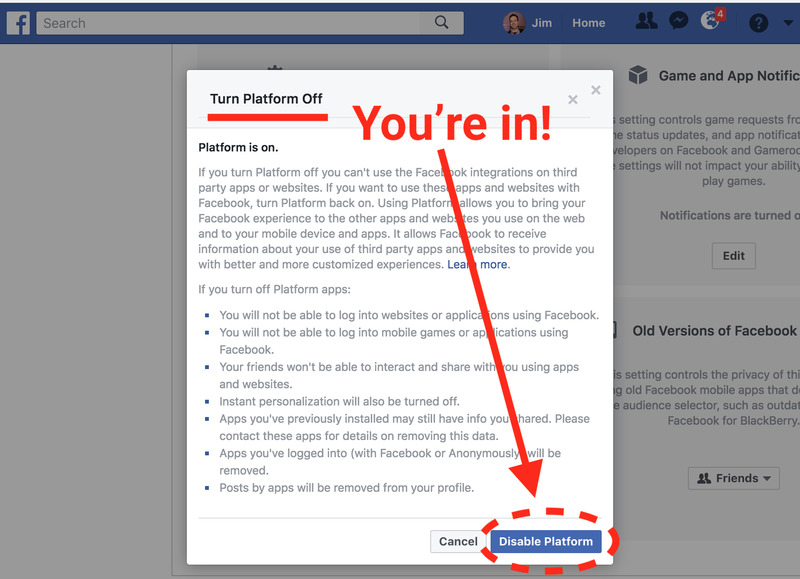 “Platform” is the way that apps – and bad actors – are able to grab the personal data you put on Facebook. If you turn Platform off, you will keep the maximum amount of your personal data from being harvested en masse by companies like Cambridge Analytica. 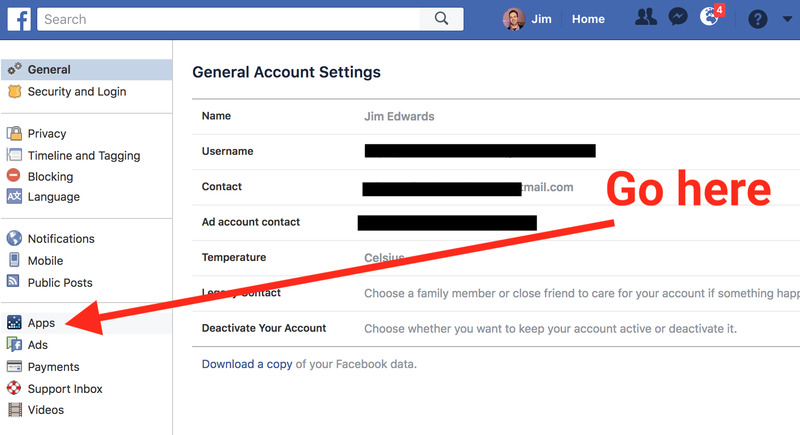 With Platform “off” you can use Facebook safe in the knowledge that the only data you are sharing is the stuff you have personally shared on your timeline or profile. 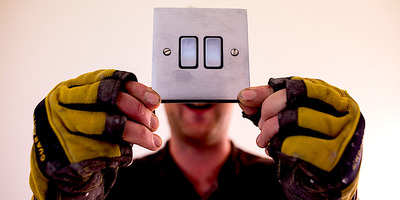 It’s the most private you can make your Facebook without deleting the account altogether. Then, select “Apps” from the left-hand side. 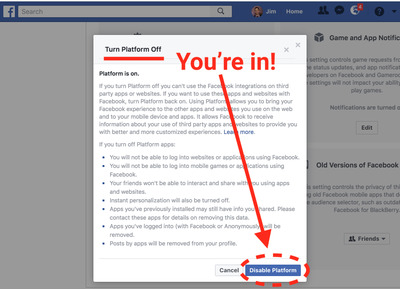 Now you can turn off “Platform.” Remember, this means you won’t be able to log into websites or apps using Facebook, and friends won’t be able to share information with you through apps. Read the explainer before making your decision.